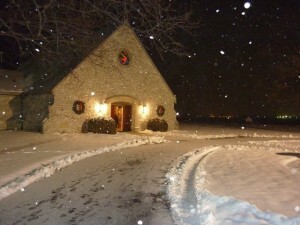 St. Thomas, the only Episcopal Church in Johnson County, was founded as a mission church in 1958. The first services were held on the Franklin College Campus in Scott Hall. By 1959, we had grown and began to rent worship space in the former Redman’s Lodge in Franklin. As our numbers increased again, the congregation moved to our current location in 1969, when construction was finished on a handsome Indiana limestone building. In 1983 an addition including the current parish hall was completed. In 1997 what began as St. Thomas, a mission congregation in the Diocese of Indianapolis, was officially recognized with parish status in the diocese. The recent addition of a Christian Education/Clinic wing has enabled St. Thomas to grow and expand our ministries and our outreach to the surrounding community, especially through our free medical clinic which serves residents of Johnson County. St. Thomas is a parish in good standing in the Episcopal Diocese of Indianapolis and the worldwide Anglican Communion.